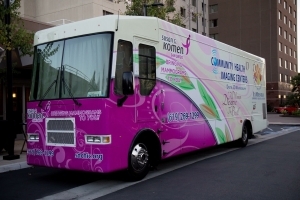 Komen San Diego’s Circle of Promise and CHICH are hosting a free mammogram event in partnership with Kaiser Permanente. For appointments, please call: (619) 269-1299. Walk-ins are also welcome. If you’ve got any questions regarding our free mammogram event, please contact Wendy at Wendy@sdkomen.org OR If you are unable to attend the event, please call 2-1-1 to speak to a breast health specialist about setting up another appointment.